How do you plan to use these resources? Akshara's remedial reading programme which focuses on making reading a key activity in government schools by using a simple story based methodology. In 2010, in a landmark stroke aiming to benefit all children across the country, India introduced the Right to Free and Compulsory Education. Akshara is on the path to universalising elementary education and ensuring that every child is in school. Yet the dropout rates in elementary school have been a cause for concern. An assessment of student outcomes in India has demonstrated that a large proportion of students in government schools are not at the grade-appropriate level in basic reading skills. Students often fail to grasp other subjects simply because they cannot read and many of them dropout because they cannot cope with their studies or because they feel they are not getting enough value out of school. How do we expect them to get the benefits of schooling if they are unable to perform the fundamental task of reading? 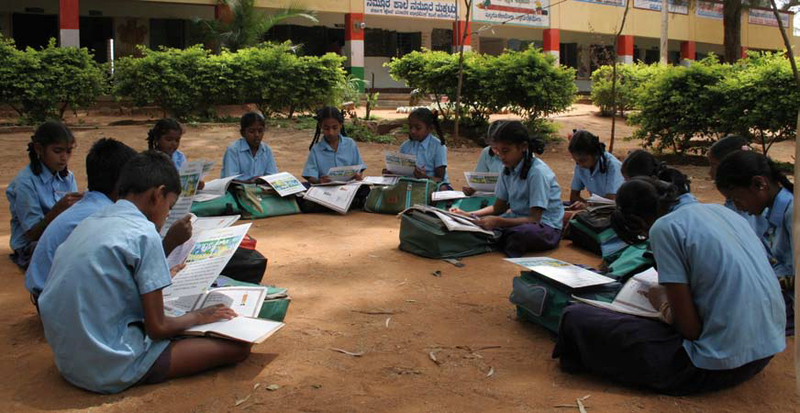 Oduve Nanu, a remedial reading programme for grades 2 -7 was developed and implemented by Akshara in 2006 in all government primary schools in the Bangalore Urban District. This programme aims at teaching reading skills in Kannada and Urdu languages (the mediums of instruction in government primary schools in Karnataka). The programme was originally conceived by Professor Jalaluddin of the University of Delhi. It is based on a technique that comes naturally to children and uses an integrated approach where listening, speaking, reading and writing are combined like a game. Instead of learning sequentially, children are engaged in a variety of activities, which are interconnected and allow for a child to learn to 'read' all on his own. Students use a set of storycards, each of which contains a simple story with a colourful illustration. 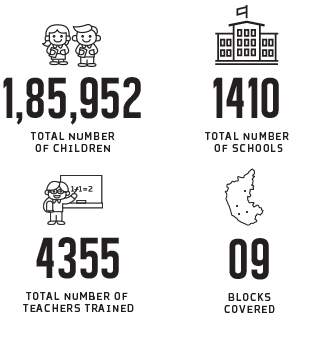 There is one story card for each session, and the stories get increasingly more complex. The learning materials are designed so that students can work at their own pace, and practice reading in and out of school. The programme has an assessment which monitors the child's progress and keeps the programme on track. 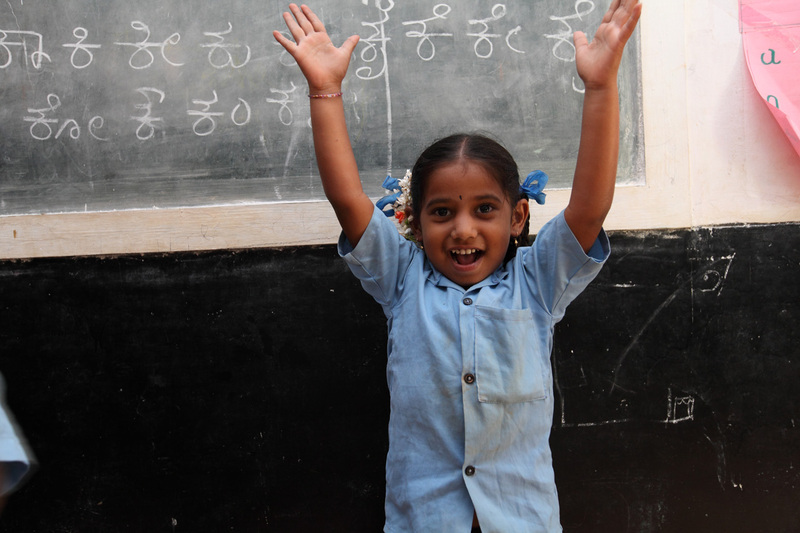 Eleven year old Renuka is in the 5th grade at the Government Kannada Model Primary School in Geddaalahalli. She was at Letter level in her baseline assessments. Our community engagement deepened with us working closely with village leaders, Self Help Groups (SHGs) and parents. Beginning with the training and extending to the teaching learning material, the programme has found acceptance among the teaching community and received an enthusiastic participation from the student community. Prompted by the visible changes on the ground, the Department officers too are supportive and appreciative of Akshara’s efforts in improving learning outcomes. This programme has now been internalised within the Government primary education system and has been taken across to all government primary schools in the State. For research and programme reports please visit our Research Reports and Research Papers pages. Want amazing stories and Akshara news in your inbox? Hop on the list!